Unfortunately, it did not survive the passage of time. The ferry service from the pier was suspended in November 2006 and the demolition was completed by early 2007, to make room for the construction of a four-lane highway aimed at relieving traffic congestion on Hong Kong Island. It is quite surprising that the old pier was not kept and moved to a different location (like the Murray house or Blake pier in Stanley). The tower housed the last mechanical outdoor clock in Hong Kong, whose parts were made by the same company that built Big Ben. The chimes of the old clock tower were loud enough to echo across the harbour. I found some more old pictures on Gwulo.com which you can check out here. 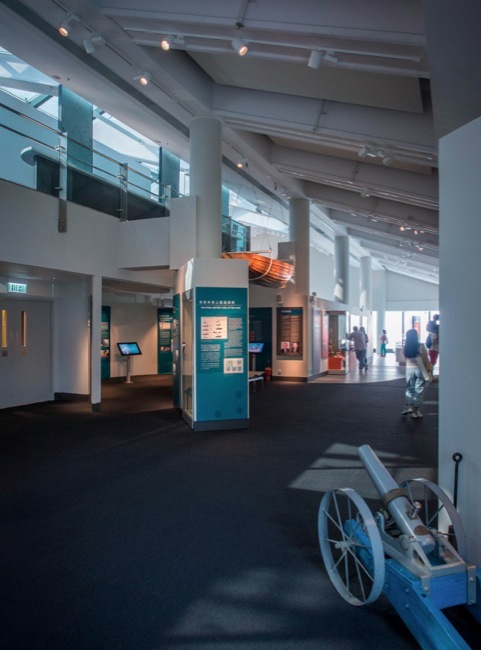 However, the government argued that the Edinburgh Place Ferry Pier was not even 50 years old (and hence not categorised as historic) and that the old clock could not be relocated because of technical difficulties in moving and maintaining obsolete parts. Moreover, the Edwardian design was criticised as being neither modern nor authentic – more like a something taken from a film set or theme park. The pastel green was also said to be out of sync with the white and green color signature of the ferries and the old pier. So plenty of reasons to tear down this building – which I find really bizarre, and I am not the only one, there were many riots and uprisings in 2006 to stop the destruction. But without any success. Land reclamation is a big issue in Hong Kong and it has been going on for decades, the whole waterfront has changed its face so many times. The new home for the star ferry is now at ferry pier 7 and I would say that the new pier also looks like a set from a theme park! At least it seems to fit with the green and white colours of the classic star ferry! I miss the Edinburgh Place Ferry Pier, particularly when the Hong Kong International Film Festival is on. When it was around, one could easily catch a double header consisting of a film screening at the Hong Kong Cultural Centre and another at City Hall. 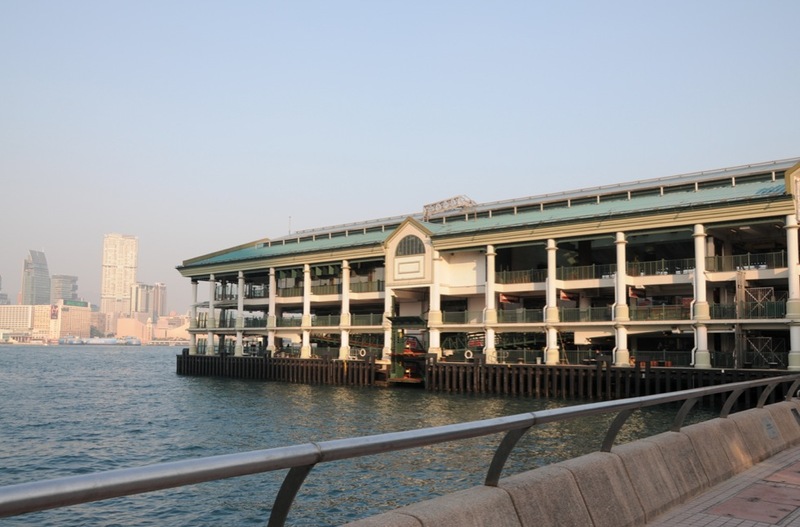 Alas, that is no longer the case — and I feel for the Star Ferry folks as I’m sure that its decreased passenger numbers is due to the new Central Star Ferry pier being located in a less, well, central spot than the Edinburgh Place one. 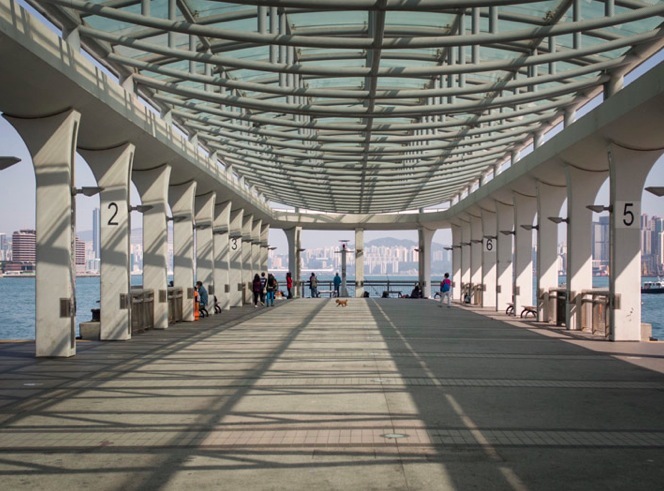 yes, you are probably right – there are fewer commuters now on the star ferry. I hope they can keep the two routes (and wishful thinking would be that they could open more routes – I love travelling on the star ferry! ).